Helen is our centre's RYA Chief Instructor. 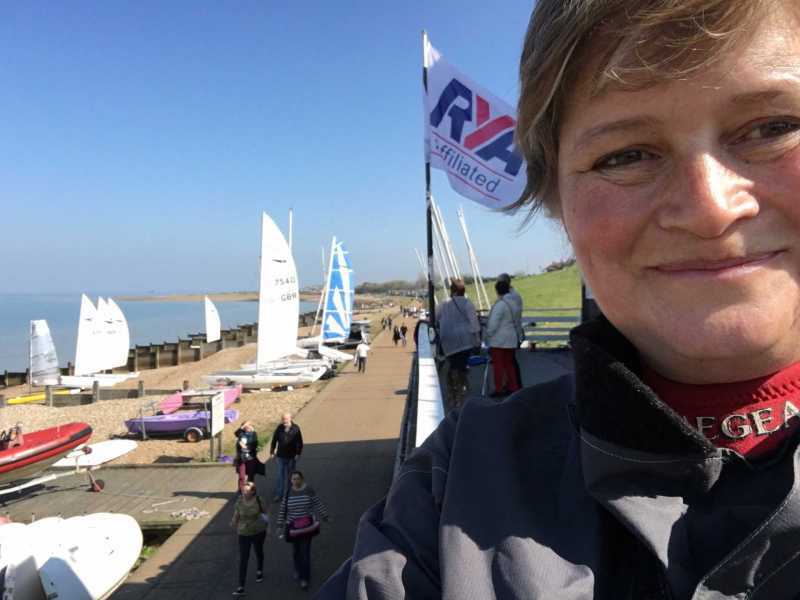 She has been teaching dinghy sailing for the past 23 years, working as a Senior Instructor in Britain and Europe in both commercial centres and the charitable sector. With husband Ted she helped to head up the ‘Morning Star Trust’ for the past 10 years - a sail training charity taking young people to sea on a 62' Gaff Ketch. Helen also regularly skippers a classic Norfolk Broads cruiser, races in the local Kent Barge matches and is fully involved in our club activities. As well as teaching sailing Helen is a qualified teacher and a professional folk singer. So if you want to learn any sea shanties on your course just ask! Mike began his sailing life at the London Nautical School in Blackfriars, learning to sail on Toppers and Wayfarers. One of his best memories of this time is being picked to join a trip sailing across the Channel from Salcombe, Devon, to Brittany and back on a 70' Brixham Trawler. After school he took up windsurfing for a couple of years with his dad, eventually being able to perform water starts, where you use the rig to lift you back out of the water and onto the board. Then back in 2004 he caught the sailing bug again, joining TBSC along with two friends, who have since moved on, and a Dart 16 that is still seeing plenty of action with other club members! As a very keen catamaran sailor, Mike sailed the Dart 16 for 10 years, eventually swapping it for a faster Dart 18 in 2014. 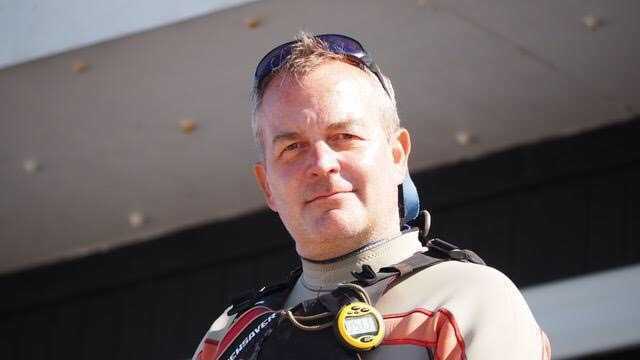 After taking severance from work in 2011, he decided to help others enjoy sailing, by becoming an instructor, eventually taking his Dinghy Instructor course in 2013. Since then Mike has added a Multihull (catamaran) endorsement to his credentials, and subsequently became a Senior Instructor in 2018. Ted began sailing, aged 8, on a 'Hornet’ and has worked for the past 40 years teaching a whole range of adventure sports to young people and adults. For many years he ran a commercial waterfront on the French coast with over 100 people afloat at any one time. More recently he has worked as a powerboat trainer, activities developer to Centre Parks and as CEO for the ‘Morning Star Trust’; a Christian sail training charity taking young people to sea on a 62' Gaff Ketch. 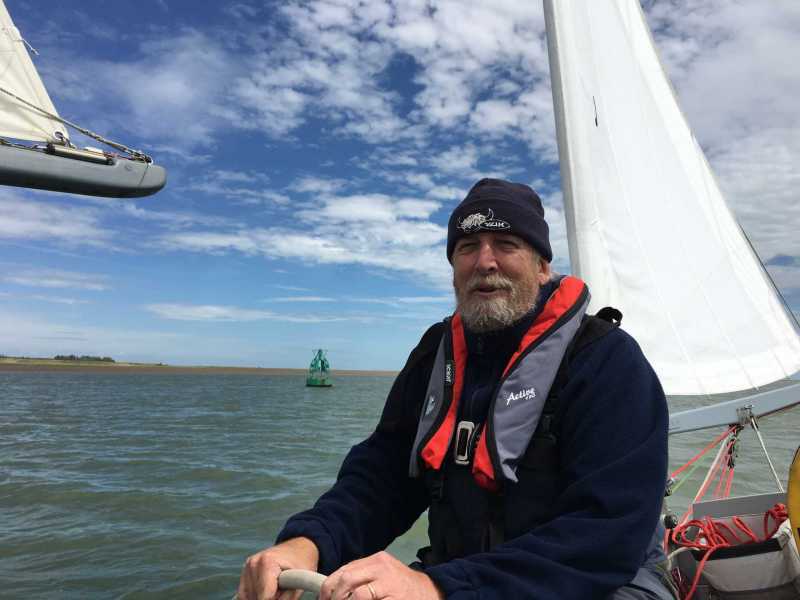 Ted has recently retired as an RYA Senior Sailing instructor holding keel boat, multi-hull and performance endorsements, although he occasionally comes out of retirement as an assistant instructor for our Centre and still instructs our RYA powerboat courses, bringing his many years of experience to our team.